Offer # 1 Receive a Full Size Keratin Mascara FREE! 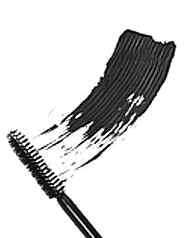 Create thick and full lashes with this volumizing mascara and brush wand. Long wearing and smudgeproof eyelash color will brighten eyes! Highly effective liposomes and vitamins C and E deliver VitaShield Vitamin C & E Intensive Moisturizer’s wrinkle-fighting effects deep into your skin, plumping up cells and giving your skin a silky, smooth texture. YOU ARE QUIET, sweet and well-behaved. You abide by the rules and do not like to cause trouble. You are not loud or obnoxious at all. You do not like being the centre of attention. The only exception is that you may color your hair occasionally, to attract attention from boys or fit in with a group of girls. You are very good at sticking to a schedule. You tend to be a follower rather than a leader in social groups. You are able to be alone and enjoy your own company. You can sometimes be self-conscious. You would like to learn to be more outgoing. YOU ARE EASYGOING, relaxed and likeable. You have a calm and confident personality that draws many admirers, both male and female, to your side. People like to be around you and you have the potential to win many friends. You are a natural diplomant and you are good at being the peace-maker when your friends have arguments. Your friends trust you for advice. You are generous with your friends and you are very good at cheering up someone who is feeling blue. Your serene manner shows other people that you are self-assured and you like who you are. YOU ARE HIGH-SPIRITED, energetic and independent. You have strong opinions and you stick to them, no matter what other people say. You are quite outgoing. You tend to be a leader in your social groups. You are very choosey about who you call your friend. You are quick-moving and active. You have the natural ability to be good at many sports. You may not be much of a team person though, because you hate sticking to a schedule made by someone else. You like to "play things by ear" and see what happens, not plan everything in advance. You love to be the centre of attention. You are also argumentative and may have a hot temper sometimes. YOU ARE CREATIVE, fun and outgong. Your enthusiastic manner wins you many friends. You have a positive and accepting outlook on life. You are very energetic and talkative. You are able to carry on a conversation on almost any topic. You can always make someone feel comfortable around you. You love attention and you will do your best to get it. Your friendships are very important to you. You fall in love easily and you are a born romantic. You are also a helpful person and your friends know they can come to you to get good advice. You dislike sticking to a schedule, but you probably need one. You are a likable and giving person. YOU ARE STRAIGHT-FORWARD, honest and intelligent. You don't like a lot of small talk. You are aware of your opinions and good at speaking your mind. You do not respect people who tell lies or exaggerate their stories. You are very dependable and even somewhat conservative. You are a keen thinker who loves challenges. You have the natural ability to do exceptionally well in academic situations. Your high morals lead you to disapprove of people who act immaturely or in a sleazy manner. You are careful about your appearance, from your clothes to the way you act in front of others. You want people to like you and need the approval of friends, family and teachers. YOU ARE ADVENTUROUS, curious and intelligent. You have an excellent eye for detail, good people skills and a smart mind. You would make an excellent detective! You are outgoing and friendly. You make friends quite easily. People find you exciting and interesting. You are inquisitive and love to delve into the "why" and "how" of things. When you are fascinated by a problem or social situation, you will not rest until you have analyzed it completely. You are complex and not everyone gets you, but most people like you anyway. You will have an exciting life! YOU ARE SPIRITUAL, confident and outgoing. You have a strongly developed spiritual sense, and you might even be a bit psychic! Your curious nature leads you into many interesting situations and friendships. You are an attention-seeker who needs to be noticed. You are self-assured and confident about yourself. You love flattery. You want others to praise you and look up to you. You are somewhat mysterious, and people find this attractive. Many people like you. In love, you are very faithful. You have an open, adventurous attitude to life. You love new situations and you could even have a daredevil nature. You can be lazy occasionally and you often look for the easy way. Offer # 1 - Receive a Full Size Keratin Mascara FREE! Offer # 2 - Receive a Custom-Blended Concealer/Eye Brightener absolutely FREE! Share the Lipstick Personality Test with your friends today!